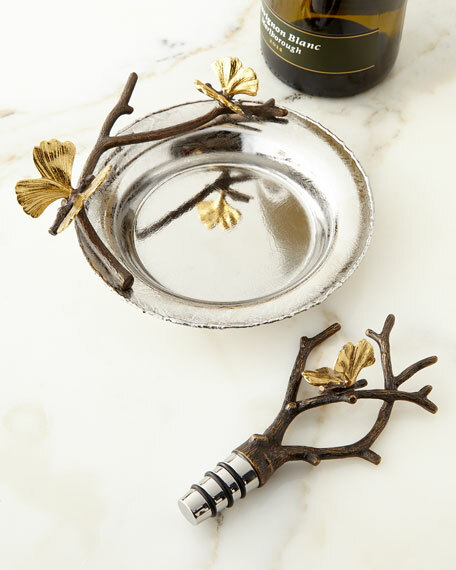 Wine stopper made of stainless steel and natural and oxidized bronze. 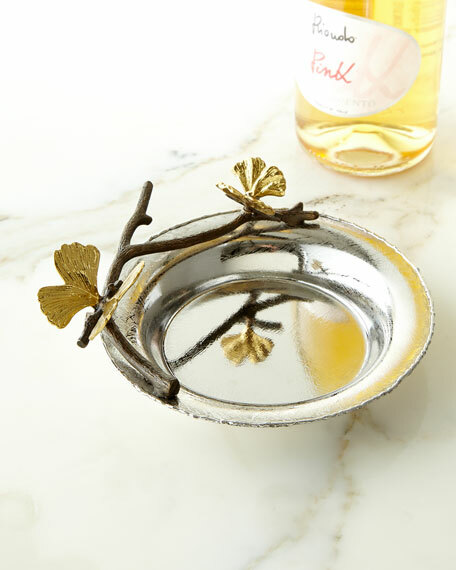 Wine coaster made of stainless steel and natural and oxidized bronze. 7"L x 6.25"W x 2.5"T.